Are all Batteries the same? Home > News > Random Thoughts > Are all Batteries the same? It might not surprise you to hear that I would say that of course they are not the same. I have been in the battery industry for over 25 years now and I have sold batteries into hundreds and thousands of applications. I have seen lots of comparison tests carried out by many of the leading manufacturers, I have seen many equipment manufacturers making choices based purely on price and then lived to regret it later. These days it is relatively easy to import batteries or any component for that matter direct from lesser known and even unbranded cells from the Far East and beyond. Sometimes, the prices are seemingly too good to miss. There is a saying that should be heeded, let the buyer beware or Caveat Emptor. 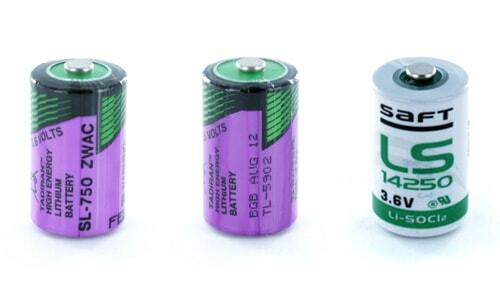 Batteries in particular are chemical compositions. Long term consistency is a prerequisite for many applications. The problem in buying cheap from unknown sources is that when thing go wrong then there is usually no fall-back. Only cells were within the tolerance band were accepted by the manufacturer. Those that fall beneath or above were not accepted. You might say why not accept the cells that are showing much higher than expected capacities? The answer is that there must be something wrong in the mix of those cells. The likelihood is that those cells may end up failing early and not achieving the expected number of cycles. So what happens to those cells that fail the test? These may end up re-labelled and sold on unbranded to less demanding customers who are not too worried about long term reputations, as short term tests would probably show these cells as performing quite well. The same principle applies to all battery technologies. 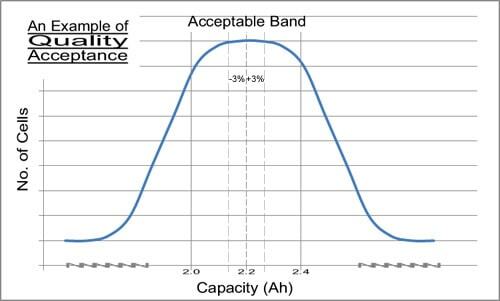 Batteries from trusted and well known manufacturers tend to cost a little more but they are more likely to want to protect their brand reputation if things do go wrong in the future. Another thing to be careful of is the source of supply. Whoever you buy from, make sure you know they are reputable and that they value the brand. I occasionally get offered very cheap deals on some really well known brands, the problem is if I am not sure of the provenance I will not take the risk. The product could be out of date, out of tolerance, grey market or worst still counterfeit. All batteries are potentially dangerous if abused or handled incorrectly. Lithium batteries in particularly have a reputation of being more dangerous than most. In reality they are no more dangerous than any other battery type. There are lithium batteries now in virtually every electricity meter in the UK, in many gas meters and in thousands of industrial and consumer applications. That shouldn’t make you complacent but it should give you confidence in there safeness. Reduce your exposure to risk and choose a reliable brand that you trust. These cells may be a bit more expensive but they have over 25 years of history behind them. Both Tadiran and Saft have a tradition of research and development and can now demonstrate a generations of real life experience in terms of both storage and real life performance.